From the writer of Goodbye Christopher Robin and The Railway Man comes a father and son road trip with a difference. 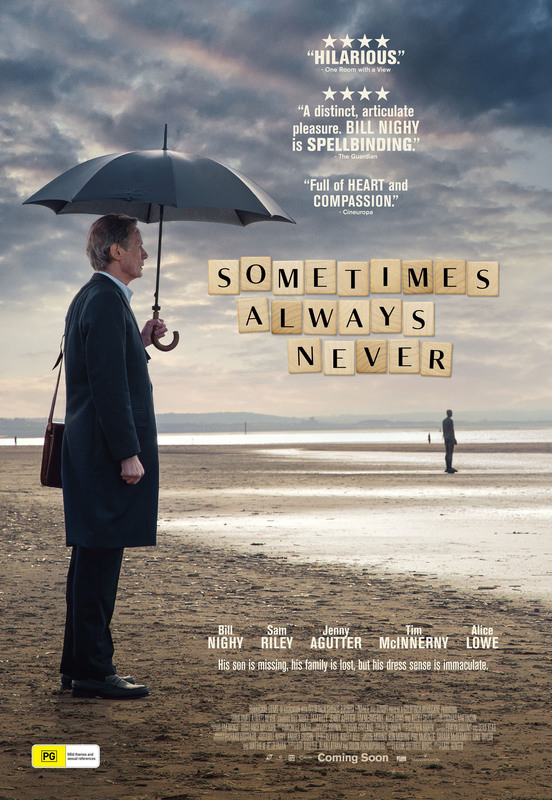 Bill Nighy stars as scrabble obsessed grieving grandfather Allen whose grown up son Michael has been missing for several years. Along with his other adult son Peter, they set off to identify a body to see if it might be Michael, but the pair can’t help but rub each other the wrong way…. And Allen must find a way to move on and reunite his brood. It’s a sublime, humble, sombre, quirky film that will delight the wordsmiths out there.